Book 1 was focused more on Bryn and her history and issues. In Book 2, you’ll get to know more about Trygg’s past…and boy, is it a doozy. 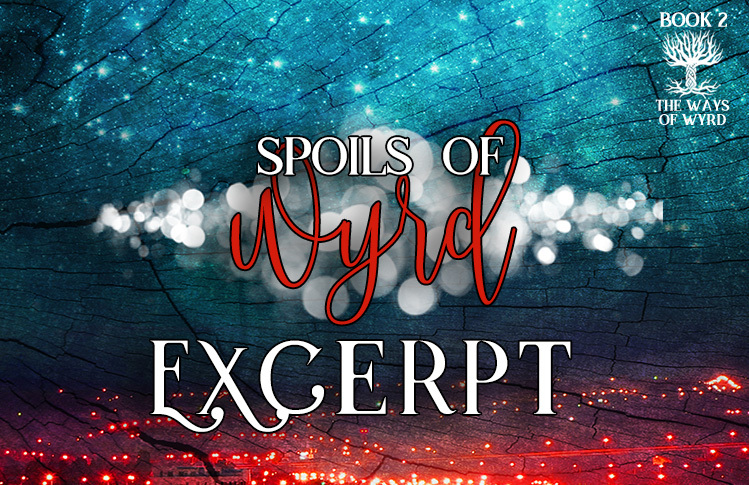 To hold you over, here’s a tiny unedited snippet of SoW from Trygg’s POV. My fingertips skimmed down the slope of Bryn’s neck, through the dip in her collarbone. The silky softness of her milk and honey skin marked so easily. All traces of the violence I’d committed were gone now, but the scars on my soul would never fade. I rested my trembling hand over her heart, counted each beat—fifty-two gifts from the gods, every single minute. The scent of us lured my lips to her skin. Unable to resist, I pressed an open-mouthed kiss to her shoulder, then licked her neck.